Benjamin Weinstock | Ruskin Moscou Faltischek, P.C. Benjamin Weinstock is Partner and cochair of Ruskin Moscou Faltischek P.C.’s Real Estate Department. His scope of work is vast and includes sales and purchases, commercial leasing, sale-leasebacks, net zero bond leasing, fee and leasehold mortgages, construction lending, development agreements, purchase options, residential and commercial coops and condos, senior citizen housing, zoning variances, site plan and subdivision approvals, title insurance claims, tax deferred exchanges, real estate tax redemptions, condemnations, architect’s and construction agreements, mortgage restructurings and transfer tax audits. In a career spanning three decades, he has handled real estate transactions from the basic to the highly complex. His knowledge and skill place him among the most respected and sought-after real estate lawyers in the region. In recognition of his many contributions to the real estate industry, Governor Pataki named Benjamin to the prestigious New York State Real Estate Board, where he was elected secretary, serving for seven terms. Since 2008, he has been selected as one of New York Area’s Best Lawyers in Real Estate. 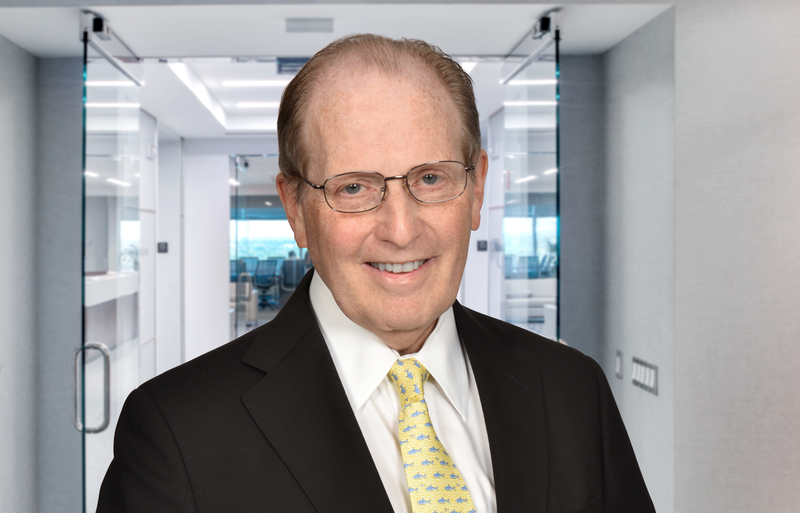 He has also been awarded by Best Lawyers in America, – Real Estate Law from 2009–2015, Real Estate Litigation in 2014, and New York Super Lawyers – Metro Edition Magazine, on the Real Estate Law from 2008–2015. In 2010, he was elected a fellow of the American College of Real Estate Lawyers (ACREL). Membership in ACREL is by invitation only after a rigorous nomination and screening process, and is available only to lawyers who have established themselves as experts in the field, who observe the highest standards of ethical conduct and who have made significant contributions to enhance real estate law and its practice. Benjamin has immersed himself in a wide range of professional organizations. He serves on the Real Property Law Committees of the American Bar Association. He is the past chair of the Real Property Law Section of the New York State Bar Association and serves on the New York State Bar Association’s Committees on Title and Transfer and Commercial Leasing. He is a frequent lecturer on real property law matters, having chaired many educational programs for the New York State Bar Association and others. He currently teaches advanced real estate transactions at Brooklyn Law School. He served in Village Government for 23 years, and is currently the Mayor of the Incorporated Village of Cedarhurst, where he resides. “Title Insurers Sink in the Pool of Unmarketability,” New York Law Journal, November 26, 2004. Commercial Leasing Manual, Chapter on “Lease Guarantees,” New York State Bar Association, Commercial Leasing Handbook, Contributing Author, July 2004.